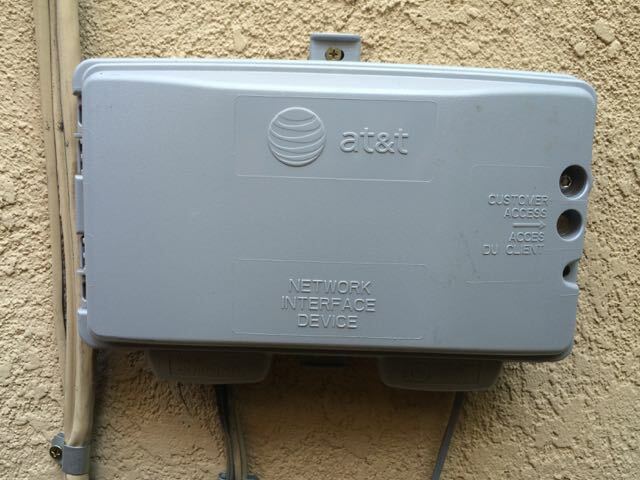 When troubleshooting DSL connections, one of the first things we try and determine is if the problem is inside your home (called “Inside Wiring” ) or with he lines in the street, which are maintained by the telephone company (AT&T in most cases). 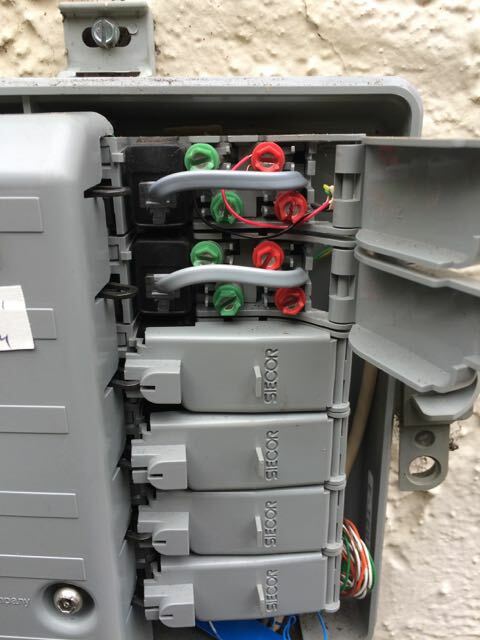 In order to do this, we often need to test the line at the junction box where the phone company wires are connected to your Inside Wiring. This junction box is called an MPOE, or NID. If your MPOE was installed within that past 30 years, it probably has a test jack inside that will allow you to test the line yourself. 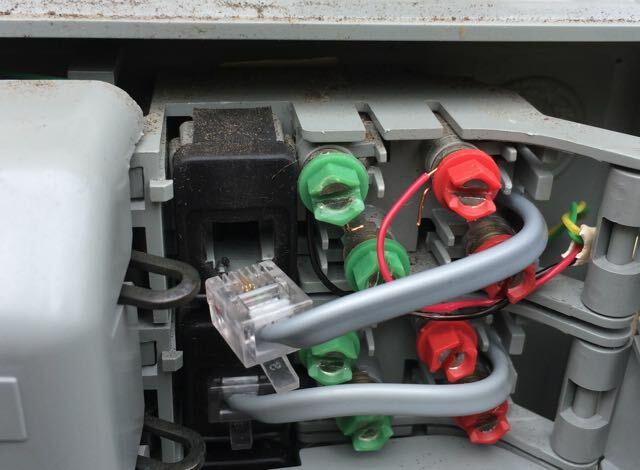 If the MPOE box is made of plastic, than it probably is new enough to have a test jack inside. Now we can test to see if the top circuit has a dial tone. To do this, you will need a basic line-powered analog phone. (LMi.net sells them for $15 if you need one). If there are more then one test jack, check for dial tone on each one. Unplug the short phone cord from the test jack. This will remove the Inside Wiring from the phone company wiring, and allow you to test the line directly. If you are unsure if the phone line is yours, try dialing 933 from the phone plugged into the test jack. You will hear your telephone number read back to you. If you do not have a telephone, you can still help us troubleshoot by allowing us to run a test on your line while the Inside Wiring is disconnected. Just phone LMi.net and have a support tech run an “LMT test” on your line. This will allow us to determine where the problem is and get the line working again much faster than if we need to schedule a technician to come run this test onsite. Here is a short video clip from another vendor that clearly shows you how this test is done.